Sorry, this webinar has ended. What differentiates a highly successful in-house recruiter from an average one? How do you harness the agility and sense of urgency of an agency recruiter mindset and use it to deliver exceptional results within an in-house environment? Join Ruth Miller, managing director of RM Associates, for an interactive webinar on Wednesday, April 10 as she covers the key touch points where recruiters and their teams can raise the bar and provide an unparalleled level of service to their hiring managers. Who Should Attend: Anyone involved with in-house talent acquisition who wants to introduce the level of speed, precision, and technical know-how often associated with agency recruiters. This presentation will also benefit agency recruiters who want to hone their skills and become more effective. This webinar will fill up fast. Register for free to reserve your seat now. Can’t attend? No problem! Register for the webinar, and you’ll receive a link to view the video recording the next day. Everyone who attends the live broadcast will receive HRCI and SHRM credits. 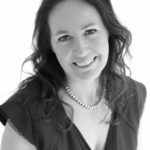 Ruth Miller has followed a career as an in-house Head of Resourcing with Debenhams, Dixons Retail and HSBC. Since setting up as a self-employed consultant in 2009 Ruth has partnered with a wide range of international clients from BBC, Live Nation (Ticketmaster), British Airways, Conde Nast, Volkswagen, Tesco and Victoria’s Secret to smaller start up technology businesses. Ruth delivers training on employer branding, candidate sourcing, stakeholder management, interviews and assessment to in-house resourcing teams and hiring managers so they are clear on their employment proposition and can engage candidates to join them in a challenging market, as well as managing projects for companies experiencing high growth and setting up new teams. LinkedIn offers a comprehensive suite of recruiting and employment branding solutions to help small, medium to large-scale businesses more effectively find, attract, and engage candidates for their open roles. With over 550+ million members worldwide, companies like yours can tap into the world’s largest professional network and hire talent easier and faster. LinkedIn’s Solution Specialists can provide a consultation and product demo. Simply contact them at business.linkedin.com/talent-solutions or call 855-655-5653.